480-456-8888 | Pre-Emergent Or Post-Emergent Weed Control And How To Decide. ​​Weed Management By A Professional Weed Control Company Employing Licensed Applicators Is Important For Maintaining An Entire Property’s Landscape, Especially In Commercial Properties. Weeds Can Emerge Anywhere At Any Time With No Warning. Weeds Can Be Prevented From Emerging By Applying A Pre-Emergent Weed Management Technique For Weed Control. The Application Of A Pre-Emergent Will Eliminate And Avoid Unwanted Weed Growth Through Biannual Applications Keeping Weed Management In The Forefront Of Your Property Maintenance. 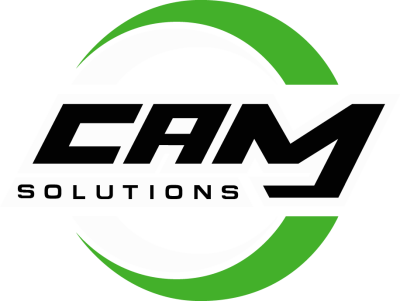 Pre-Emergents Require A Professional Weed Control Company Such As CAM Solutions To Apply As Proper Timing Is Needed To Be Effective, And Proper Application By Licensed Applicators Is A Must. Weed Management Is Essential As The Appearance Of Germinated Weed Growth On Any Commercial Property Leads To A Lack In Good Maintenance Appeal And Can Deter Potential Customers. CAM Solutions Uses A Post-Emergent Weed Management Herbicide To Kill Off The Germinated Weed Growth. As A Professional Weed Removal Company, We Use Our Licensed Applicators To Apply Herbicides To Your Commercial Property. Our Weed Removal Company Weed Management Teams Are Trained To Standards, Codes, And Guidelines Providing Customers With A Safe Environment While Maintaining That Fresh Appeal For Your Property. Our Weed Removal Company’s Licensed Applicators Undergo Regular Training On Spray Techniques As Well As Herbicide Products For Weed Management. We Always Employ All Necessary Safety Practices To Ensure The Safety Of All Areas. As A Professional Weed Removal Company, Our Weed Management And Removal Licensed Applicators Know How To Avoid Mistakes That Can Be Made In Applying Herbicides. Your Best Defense Against Weeds Is CAM Solutionsd, Your Commercial Property Maintenance Professional For All Of Your Weed Management And Elimination Needs. Our Company Is Fully Licensed For Weed Management.